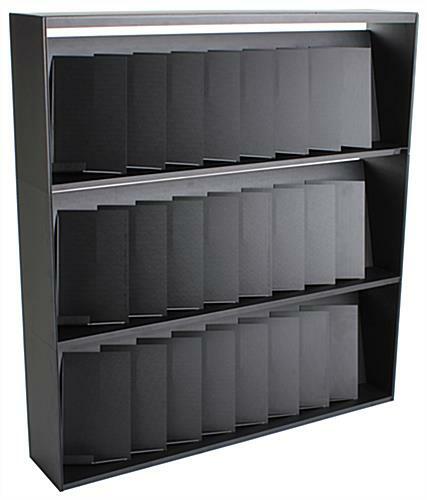 This 3-shelf black 24-pocket magazine display is a lightweight but sturdy fixture with 3 levels that can be used as a single interlocked fixture or singly. 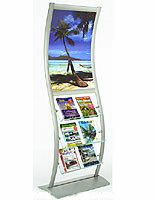 When used as a sinfle fixture the unit is 46.5" tall. 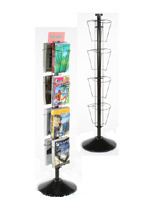 Each stylish black 24-pocket magazine display is made from durable plastic with 8 slide-in newspaper or magazine sleeves on each level. 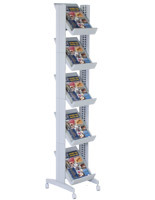 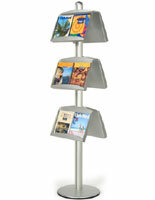 The freestanding floor stand can be used as a literature rack in lobbies, waiting rooms and other public areas. 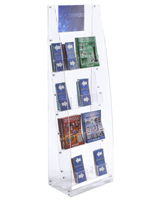 Each 24-pocket magazine display made from black finish acrylic is perfect for use in any commercial, professional, retail or institutional environment. 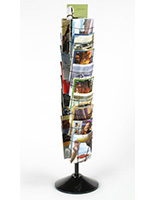 44.0" x 46.5" x 8.6"